Debugging Postgres 11 Procedures with OmniDB Debugger — OmniDB is an open source, interactive database management tool and it already has support for debugging Postgres 11 procedures as demonstrated here. Materialized Views vs. Rollup Tables in Postgres — Materialized views are often used to make reporting faster, however another approach (rollup tables) can have some advantages while delivering the same benefits. 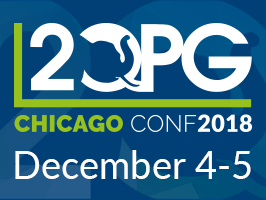 2Q PGConf 2018 - Hands-on PostgreSQL Training with Experts — Get hands-on PostgreSQL training with local experts at 2Q PGConf 2018 in Chicago on December 4. Courses include: PostgreSQL Database Security, PostgreSQL Multi-master Replication, & PostgreSQL Performance Tuning. Special discounted rate for this date. How to Create a Single Endpoint for a Replication Setup with HAProxy — PostgreSQL clients usually talk to a single endpoint, but what happens when you use a replication setup? HAProxy (a genuinely amazing TCP and HTTP proxy) can be used to distribute traffic quite easily. TimescaleDB 1.0 Now Production Ready — We mentioned the release candidate several weeks ago, but the time-series database built on top of Postgres (as an extension) is now truly production ready. 'Killed Index Tuples': A Little Known Performance Feature — Describes ‘killed index tuples’, a little-known feature that can help explain variations in index scan execution time. Setting Up a RESTful API with Express.js and Postgres — A nice straightforward tutorial aimed at beginners. Tracking Foreign Keys Throughout a Schema — An efficient way to track down key usage where naming standards for using the key had not always been followed. A Tip When Using Makefiles to Build PostgreSQL — Quite an edge case but if you’ve run into trouble with using Make to trigger Postgres builds, this tip could save you some headaches. Real-Time Postgres Performance Monitoring — Correlate PostgreSQL metrics with data from your distributed infrastructure, applications, and logs. Start a free trial. Slonik: A Node.js Postgres Client with Strict Types, Detail Logging and Assertions — Built on top of the pg library, Slonik provides more niceties and convenience methods. Pg Down Under 2018 — December 7 (Melbourne, Australia) PG Down Under 2018 is the second annual conference which provides a unique opportunity for PostgreSQL Developers and Users to meet, learn, grow relationships. PGConf.ASIA 2018 — December 10-12 (Tokyo, Japan) The largest PostgreSQL event in Asia. FOSDEM PGDay 2019 — February 1, 2019 (Brussels, Belgium) An extension to the regular PostgreSQL activities at FOSDEM.